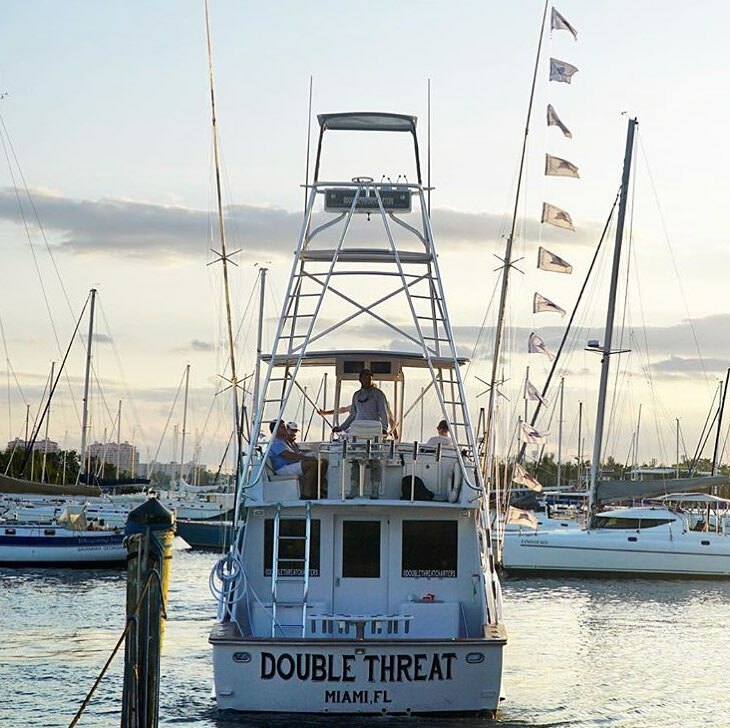 Off the coast of Miami, golden tilefish commonly dwell in waters ranging from 500-900 feet. They range the length of the US eastern seaboard and have been found as deep as 1,500 feet. Golden tiles look for areas with soft bottom such as clay. They make conical shaped burrows and guard them against invaders. Catching tilefish involves dropping a heavily weighted rig to the bottom with squid or fresh cut bait. The preferred rig for goldens is a “lay down rig”. This type of rig opposed to a chicken rig consists of 2 weights, with a heavier lead close to the main line and another at the end. This allows the rig to drag across the bottom, kicking up sediment along its path. Be sure to attach a high quality deep drop light such as the Duralite Diamond Light to help attract fish. We chose to fish or rigs on electric combos with 80 pound braid, although it’s possible to go to lighter braided lines and hand crank reels. 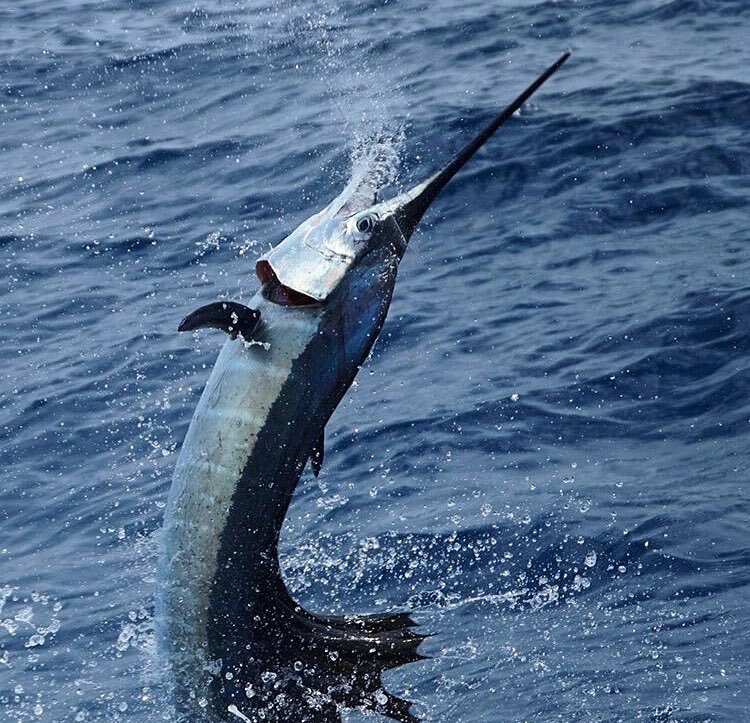 We’re typically fishing from 600-800 foot depths and require 4-6 lb lead to hold bottom. You know you’re over the right type of bottom if you can feel your lead weight stick in the mud, load the rod, and then release from the mud. Ideally you want to bounce the bottom, to stir up sediment and draw the tile’s attention. I like to keep the reel in free spool while we drift to give the fish a chance to investigate a motionless bait. The fish hook themselves against the pressure of the lead, so circle hooks are a must and required by law north of 28 degrees latitude. Dehooking tools and nonintrusive venting tools are also recommended. For bait, squid and fresh cut strip baits such as bonita and barracuda are hard to beat. I like to cut strips in a narrow triangle shape, from 6-8” long. You can try placing a glow in the dark squid skirt over the bait to help attract tilefish. 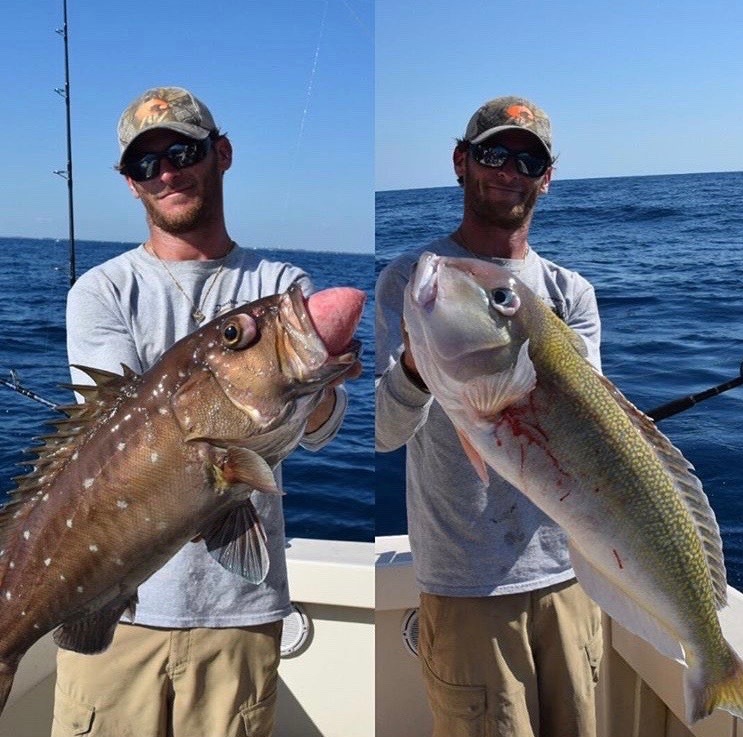 For more information, click on golden tilefish to view our species profile page.